on the internet at the top of the search results. If you are looking to raise your online marketing to the next level and improve your customer engagement levels – you have come to the right place. Pinnacle Web Marketing is an online marketing company that specializes in local business marketing and search engine optimization (SEO) for small to medium sized businesses. Located in Stuart Florida we can perform local marketing for any business…..anywhere. Our focus is to create a targeted and optimized total web presence for your business and send quality traffic to your website using highly effective web marketing strategies. Our internet marketing strategies will help you generate leads online and grow your business. Now is the right time to correctly position your business online. Every business needs to generate targeted leads for success. We will start with the basics – Website Development and Search Engine Optimization (SEO) and deliver effective local marketing solutions unique to you and your brand. With technical experience and digital marketing knowledge we focus on achieving results enabling your business to grow and develop. We build and update WordPress websites with full SEO. We know that creating the right first impressions are vital online. That’s why we create eye catching, responsive and user-friendly websites with full search engine optimization (SEO) built to showcase your brand, generate leads, and engage more conversions. In a crowded web marketplace being found at the top of the search results begins with SEO. Your entire webpresence should be optimized with targeted keywords and search phrases across the web. Not only your website, but your video commercial and social platforms need SEO. 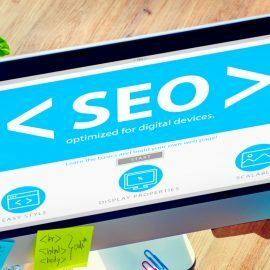 While SEO should be a part of your web marketing strategy – it should not be your only online marketing strategy. SEO works best when its integrated with other online marketing efforts that build your brand across the web and generate even more leads for you. Our additional online marketing strategies are just what you need to remind your target market that you are online and ready for business. We offer industry specific, local business video commercials that are ready to customize and showcase your business with your own branding and images – all at an affordable price. Want your own? We create custom video commercials too! Need to be on page-one right away? 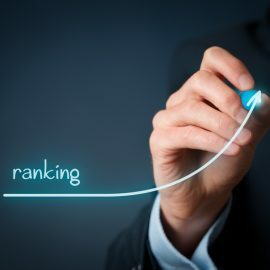 Investing in pay-per-click advertising (Google Adwords) is a smart option to get ranked fast while you are waiting for your SEO strategy to get under way. Your social presence is an important part of your online marketing strategy and compliments SEO. Consistent posting and Facebook Ads are one of the most cost effective online marketing methods that a business owner can implement. Local SEO is a special type of search engine optimization that geo-targets your local service areas, so you can be at the top of search page results for every town & city you want to target. have and offer new marketing strategies using your current advertising budget. As you know, most consumers today go online to find local products and services. And if your website is outdated, not optimized, slow-loading, or simply hard to figure out the next step, you may notice that it’s not doing anything at all to help you increase leads and sales. In fact, your website traffic is probably getting frustrated and clicking right over to your competition for a sale. Give us a call at 772-324-9551 or fill out our contact form for a free no-obligation consultation and let’s discuss how we can improve your website performance and generate more leads for you. 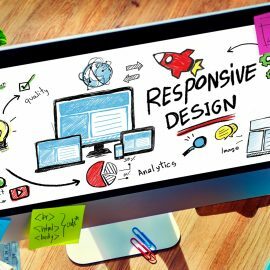 Could These Website Design Mistakes Be Harming Your SEO? Should You Combine SEO With PPC For Better Ranking?